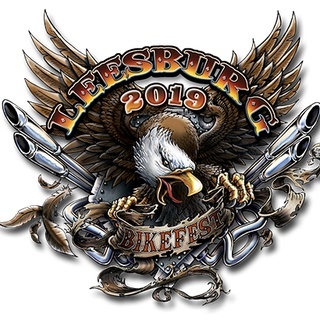 The Lightning need your help with our fund raiser during the 2019 Leesburg Bikefest. To signup please click here. The 2018 Lightning History Book is now available online. Check out all of the stats and info of the alumni players and coaches. 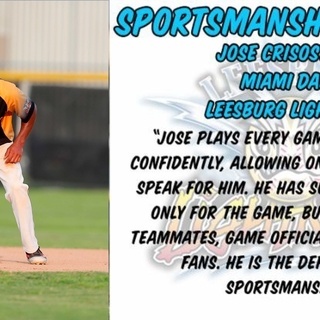 The Lightning are proud to announce that Jose Crisostomo has been selected for the Florida League Sportsmanship Award. He is a exemplary young man, that everyone can look up to as a role model on and off the field. 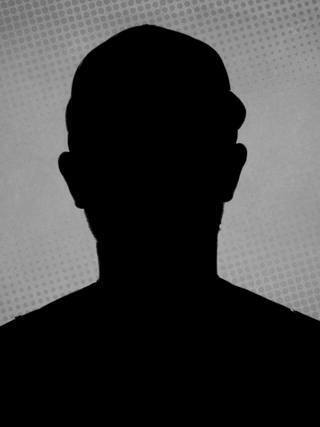 It was a pleasure to have him on our team and in our community. Leesburg, FL – One play, maybe two. 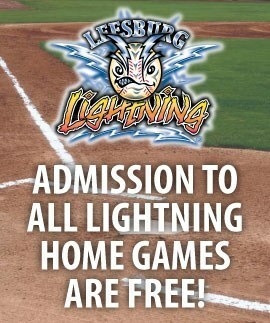 That’s how close the Leesburg Lightning were to securing a spot in the Florida League championship on Friday night. A bittersweet 7-6 loss, but a loss nonetheless, ended the season for the Lightning, who should no doubt be proud of their effort this season. Winter Park, FL - 11. 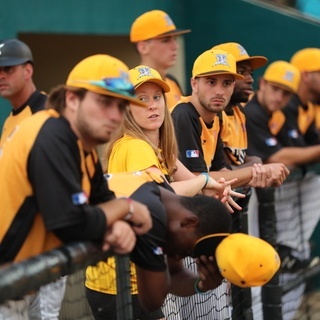 That's the number of runners that the Leesburg Lightning left on base in their Game 2 loss to the Winter Park Diamond Dawgs on Thursday night. 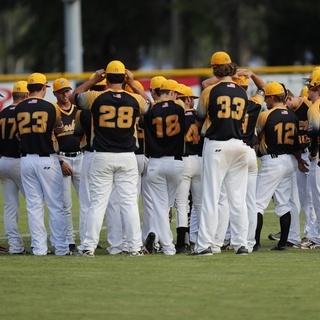 Only two runs crossed the plate for the visiting Lightning despite putting up 12 hits as they lost to the fourth-seeded Diamond Dawgs, 3-2. Winter Park got all three of their runs in separate innings, starting with a solo home run by center fielder Tyler Osik (UCF) in the bottom of the first off of Lightning starter Ethan Chavis (NC A&T). Chandler Robertson (UCF) scored on an RBI groundout in the fourth inning and again in the sixth inning on a questionable defensive interference call. Chavis left the game after five innings with three runs allowed on three hits and three walks. Those three hits, a home run and two singles, turned out to be the only hits for Winter Park as they were out-hit by the Lightning, 12-3.